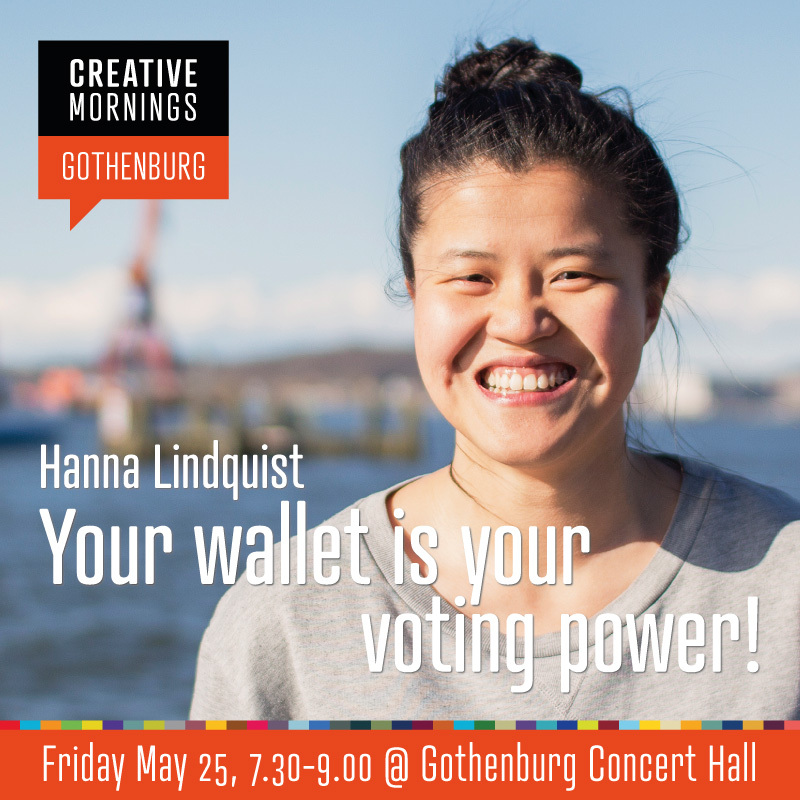 The theme this month is ‘Commitment’ and on May 25th we’re really pleased to invite Hanna Lindquist who strives towards creating a world where all people have access to clean energy, to the stage. Linda Larsson caught up with Hanna to ask her a few questions ahead of her talk. A quick bio of yourself - who are you and what do you do? My name’s Hanna and I’m from Gothenburg. I’ve always been very passionate about global issues. Due to this I’ve worked many years in the civil society and politics before I ended up at TRINE 2015. My years working with other change agents taught me that in a world where it is so easy to not care and not get engaged we all need to do just that. Because now we need it more than ever. I joined TRINE when we were about to launch our very first loan in October 2015. Since then I’ve focused on building our brand, finding ways to communicate to people what you can do through our platform and really talked with our users and crowd-investors a lot. For me that’s key, no matter if you work for a tech startup or a governmental organisation: Understand and get to know your target group. The theme this month is ‘commitment’. What does ‘commitment’ mean to you? For me commitment is very much about also the things we don’t obviously think about as a commitment. We might think we’ve made a commitment when we signed up for a course or promised a friend to help him/her move but everyday we make commitments that we might not even think about. And some of those are the important ones because they might be the ones that break bad habits. For me one of the strongest commitments we currently have is our money, because depending on how you choose to save, invest, consume them you will also decide on what kind of world you want. What can anyone do to become a solar hero? If you want to use your money as a voting power I definitely think one way of doing that is to invest with a triple return. What does that mean? It means that instead of choosing between doing good and earning money you can get both. By investing with triple return you get social and environmental impact while at the same time having the possibility of return of investment. For me it’s obvious that if we all can make sustainability the new normal we never have to choose between “investments” and “sustainable investments”. It will all be about people, planet, profit. If you’re interested to see how it works you can check on jointrine.com and perhaps join some of the thousands of people who’s currently invested everything from €25 and more into solar energy in emerging markets. Best piece of advice is a tricky one. I constantly get inspired but not necessarily by what people say by what they do. My colleagues are a brilliant example of some of the most inspiring people I’ve met. They are all hard-working, high-achieving but at the same time goofy, without any prestige or need to prove themselves. But if I have to choose one I must say that fail fast, learn faster is one of the best ones because I never really had that mindset before. I was so used to making sure everything was 100% success so there was never any space for failure. And that’s a great piece of advice I think we all encourage at TRINE - celebrate failures as well as successes! I think time travelling would be pretty neat. Or just the possibility to travel between places in no time would be amazing. If I could spend the rest of my life doing something it would be to discover the world. Despite what you sometimes might think when you follow the newsfeed the world is still such a beautiful place and there would be a shame to not have seen it all if you had the possibility. Discovering the world and show another side than what is sometimes broadcasted would definitely be on my top list of dream projects. Home for me has always been where I am at the moment, not a specific geographical place. If you could select one person from history and have them truthfully answer one question, who would you select and what is the question? I’d ask George W. Bush - if you knew what you now know about what would happen after, would you still have started the war in Iraq and Afghanistan?